Most bloggers choose to incorporate advertising programs by signing up with a company that serves as a middleman between the blogger and the advertiser. This company typically negotiates rates with the advertiser, tracks ad performance, and pays the blogger for advertising placement. Although you can cut out the middleman and sell your own ad space, many bloggers find that they don’t really want to spend their time dealing with the negotiation, tracking, and technical overhead. But even the most time-pressed blogger can likely find the strength to listen when an advertiser contacts that blogger directly and offers to sponsor the blog. These arrangements are typically more lucrative for the blogger (and the advertiser, presumably), and the two parties negotiate this relationship on a case-by-case basis, depending on the audience, product, blog traffic, and other factors. After you decide on formats, placement, and business models, it’s time to put ads on your blog. The good — and bad — news is that you have dozens of options to choose from. AdSense is Google’s contextual advertising program, and it’s really the biggest player in the contextual advertising arena. When you sign up for Google AdSense, you choose what kinds of ads you want on your blog, from text to images to videos. Advertisers pay Google money when your blog visitors click the advertisements displayed beside your content, and you receive a portion of those payments. Successful bloggers who have a lot of traffic can earn a living from Google AdSense, but income varies greatly, depending on the size of your audience and how well your blog topics match the advertisers who contract with Google. Text Link Ads by Matomy SEO, formerly MediaWhiz SEO, is one of the most popular and recognizable advertising systems used by bloggers. Designed with blogs in mind, these ads are a slightly different option than contextual advertising programs that try to relate ads specifically to your content. Instead, you get only simple links that you preapprove, which are related but much lower-key in look and feel than contextual ads. 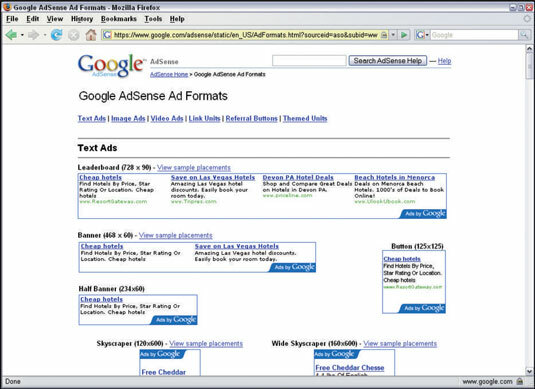 You can display Text Link Ads on the same page with Google AdSense, Yahoo! Publisher Network, and other contextually served ads. With SiteScout, bloggers can choose between text, banner ads, full-page interstitials (splash pages containing a full-page advertisement), inline ads, and image ads. Interstitials are high-paying ads that take over the entire browser window when a user clicks to move from one page of your website to another; they usually feature a Skip This Ad link or button.